What has the team been up to?! Well among them it starts with an S and ends with hotguns and melee. Take a look! Greetings and salutations! 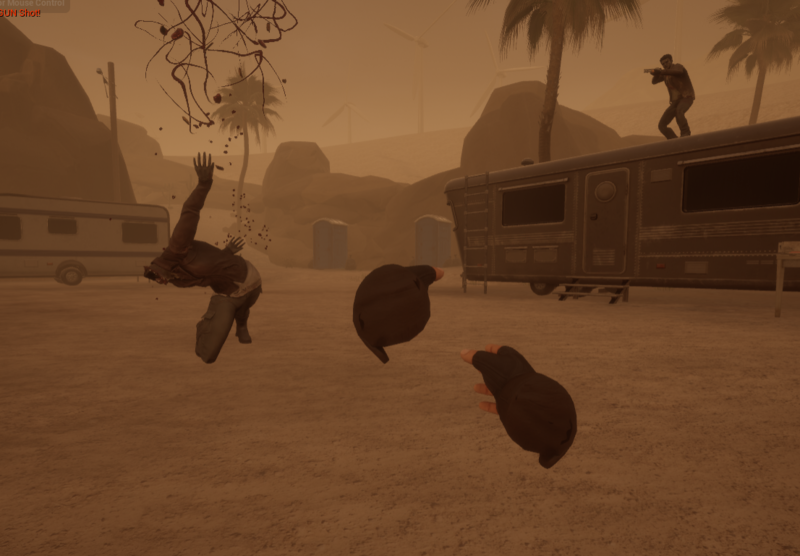 Progress on Vacancy is moving right along, with some new and exciting additions coming into play which Alex will likely talk about in his update regarding a new pump action shotgun. The riot boss zombie is in, and packs a wallop if you aren’t careful to stay out of his way! Having completed an initial balance pass and gameplay review of his current state, we are well on our way to finish him off and get him released along with mission 2 very very soon! Better late than never! The pump shotguns are confirmed in for the mission 2 update, working even better than they did in the demo. There's still some polish left to do, but overall they're feeling very fun to use. In the process of getting the pump action off the ground, I also fixed some long standing weirdness with the way the automatic shotgun was behaving; you no longer have to have the bolt fully retracted to add ammo, and the bolt itself is now properly springy, behaving much more closer to its real life counterpart. There are still some lingering bugs with the ammo system with-regard-to grabbing ammo from the belt (not due to the new weapon features, it’s just extra visible now that we're using it this way) but the shotguns are otherwise in pretty great shape. I also tracked down and fixed a bug related to a new keypad door locking mechanic (it was expecting the wrong password due to a race condition) that had been giving us some issue for the past few weeks. This week I have been working on the dialog audio for the new mission, optimizing audio thread usage by taking advantage of some of the new features of WWISE, as well as working with Lawrence to get to the bottom of the audio crashes that were pushing back release of the new content. Also we got to the bottom of the audio crashes that were hampering development with the creation of a far easier to use and more robust dialog scripting tool.